Harmonically guided evolution, Part 1 - the real missing link? Published in the Winter 2009 issue of Caduceus magazine. 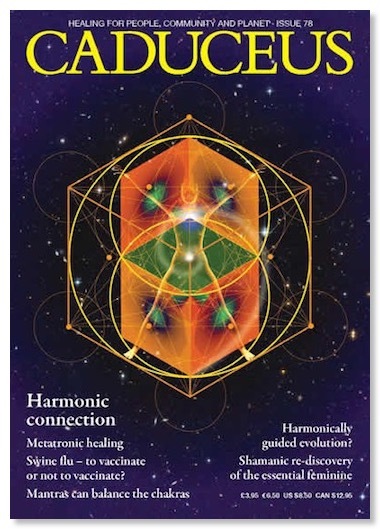 Richard Merrick argues, in the first of a 2-part article, that harmonic resonance guides evolution and is the missing variable that connects Darwin’s theory with pre-existing geometric design at the molecular and quantum level. 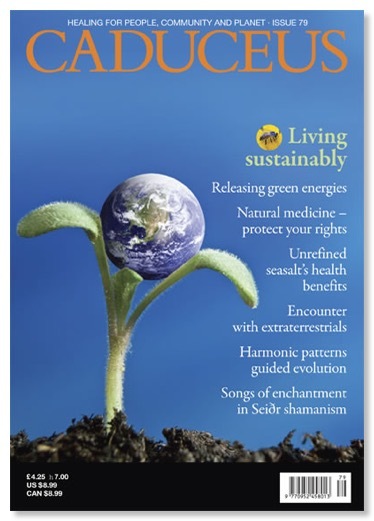 Published in the Spring 2010 issue of Caduceus magazine. This issue can be found in over 800 outlets across North America. This includes 675 Barnes and Noble and Borders plus some independents in the US and over 140 Chapters, HDS and independent stores in Canada. You may also soon find it in Whole Foods Market. What I am about to explain is so simple, so surprising and so obvious, you will wonder why you never learned about it in grade school. This is the secret of the ancients, the forbidden knowledge of Western religion and the thing most avoided by our institutions of science and education. I am referring to the universal pattern made by harmonic waves as they overlap and “interfere” with one another.